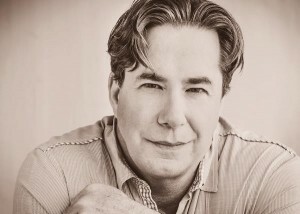 Click here to download an interivew with Rob Burns. SEO is constantly changing and everyone wants to know “what’s safe and what’s not” these days. In my opinion, if you’re doing a tactic with the sole purpose of gaming the search engines, you’re doing it wrong (‘yes’ that includes articles spinning, comment spam and automated social bookmarking). You need to be looking more long term! So what’s working now? Well, you know I love web video, press releases and social media. Yes I know, it’s still early days with social but Google has a good grip on Google Plus and it’s only a matter of time before this is core. So how does do you tie all three together? I recently interviewed Rob Burns (PRreach) to get you some insight into what he’s doing. I really think Rob’s onto something with his triple combo PR strategy. 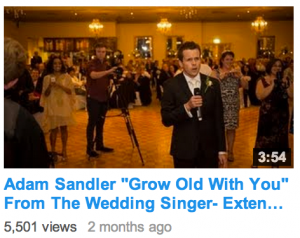 In fact, without even knowing it I was testing something similar with my “Adam Sandler Grow Old With You” video. A combination of good quality content, YouTube and a press release has got me 4500+ views in less than 1 month and it’s growing by about 80 views per day. As I said, Rob’s doing a similar strategy but has also added the extra layer of social media into the mix. It’s worth taking a listen to the interview here to find out what it’s all about – click here to download it. Anyway, we talked about this and a whole bunch of things from Elvis paintings to future of SEO – I think you’ll like it. Ps. If you’re keen to check out Rob’s PR strategy – be sure to check out his company PRreach.